Grand Canyon Safety Pilot and Hi Capacity Safety Pilot systems are available in both Natural Gas and Propane. Our Grand Canyon 2 Burner and Grand Canyon 3 Burner systems are ANSI tested and certified with our Safety Pilot systems. Use the standard Safety Pilot (90K BTU) on 2 Burner and 3 Burner with BTU ratings less than 90K BTU’s. Use the Hi Capacity Safety Pilot (142K BTU) on 2 Burner and 3 Burner with BTU ratings greater than 90K BTU’s. 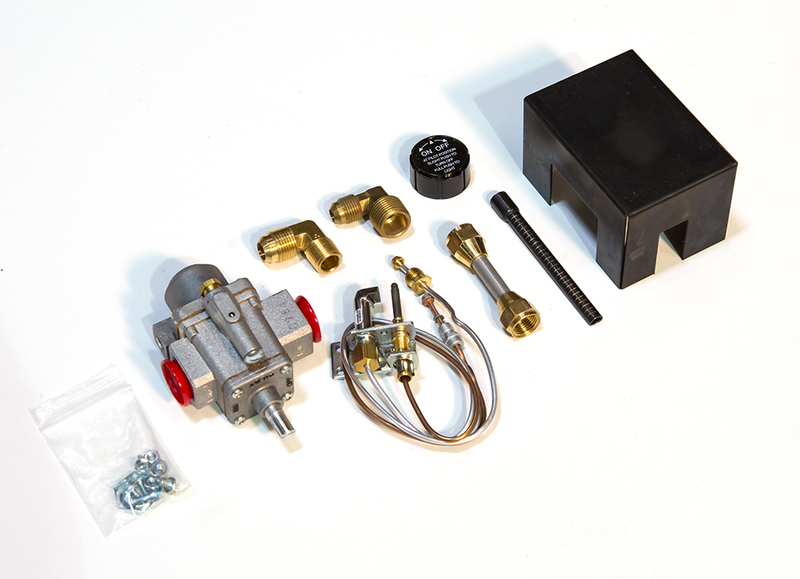 For our Kiva burner system us the standard Safety Pilot system for all sizes. All Safety Pilot kits come with the appropriate fittings, heat shield and knob. 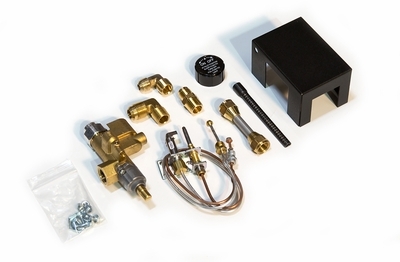 Propane conversion kits include vermiculite and pilot orifice.